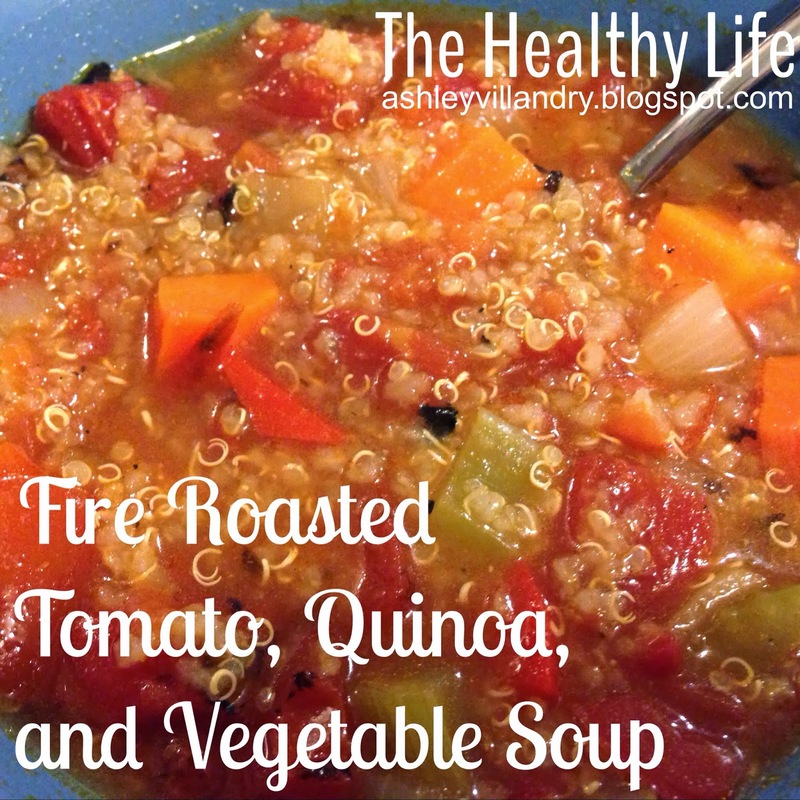 The Healthy Life: Fire Roasted Tomato and Vegetable Quinoa Soup. Fire Roasted Tomato and Vegetable Quinoa Soup. Dice carrots, celery, onion, and red pepper, mince chili pepper, and set aside. Heat a large soup pot over medium heat and add olive oil. Add vegetables and sauté for 7-8 minutes or until the vegetables soften. Add in all remaining ingredients and bring to a boil. Once boiling, cover, lower heat to a summer, and let cook for 35-40 minutes. Makes 8 servings. Great as a side dish to a meal, or a starter.